After WW1 Germany was banned from developing and building tanks. It took clandestine steps to maintain a tank development program. One of the methods it used was to become involved secretly in other European countries tank development projects. This was how the Swedish Stridsvagn m/31 light tank was produced. It was rejected because it used too many German mechanical parts. The WW1 German tank designer Joseph Vollmer joined the development team at the Swedish company AB Landsverk. He had helped design the WW1 German A7V heavy tank and the Leichte Kampfwagen LK II light tank. The German Government became a large share holder of AB Landsverk. The German influence in the design of the Strv m/31 tank was quite considerable. Although the 3 tanks were ordered in 1931 the first was delivered in 1934 and the last one of the three in 1935. They were advanced for their time compared to other European tanks. The appearance of the Strv m/31 looked very similar to tanks that would be produced just prior to WW2. The engine was at the rear which was totally different to the British Whippet and the German LK-II light tanks that had the engine in the front. It had a low profile unlike those two tanks, which helped in concealment. The maximum road speed of the Strv m/31 was nearly three times faster than those same tanks. The driver was positioned to the front left of the tank and sat next to the hull machine gun operator. Unlike some of the early 1930's tanks produced by the British and Germans the Swedish turret design incorporated a rounded slightly slopped armoured turret which would help deflect incoming shells. The tank design did have a fault. The rear mounted gearbox caused problems with track tension which was especially noticeable when used during the Swedish snowy winter. The design of the suspension also tended to through a track in snowy or muddy conditions which could be fatal in battlefield situations. 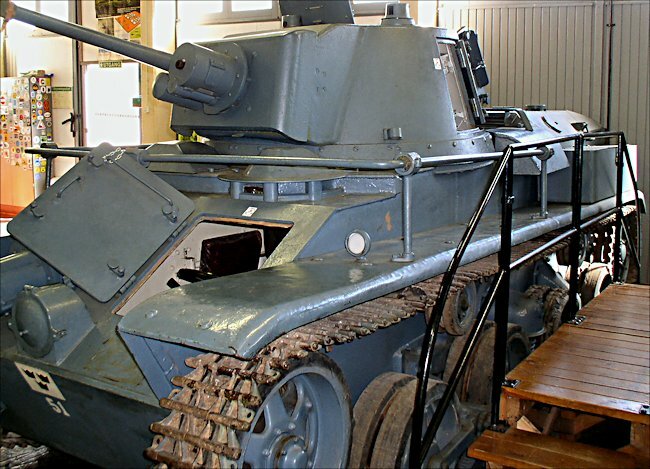 This preserved Swedish m/31 tank shows how ahead of its time was the curved armour on its turret. 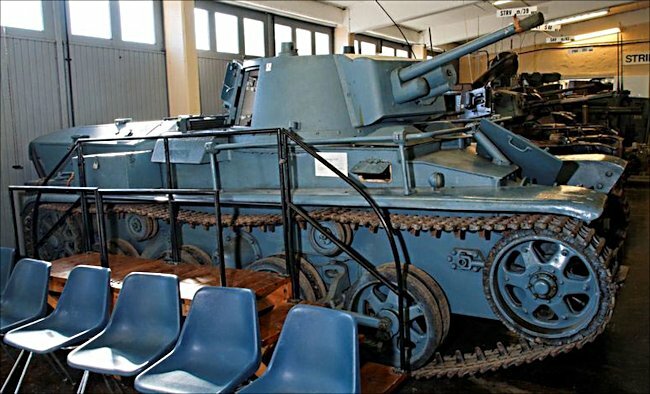 One of the reasons this tank was not ordered in sufficient numbers was its reliance on German parts. The Swedish Army wanted a Swedish built tank that used Swedish parts. They had already experienced the problems of obtaining spare parts for their German built m/21 tanks. 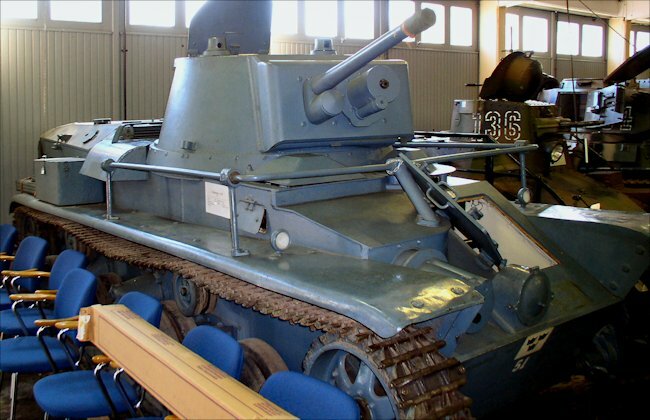 Quite wisely they rejected the m/31 tank and chose the Swedish built m/38 that had a Swedish engine, gun and gearbox. The Swedish Strv m/31 tank had a four man crew. It was protected by armour plating that ranged from 8-24mm. It was armed with a 37mm Bofors cannon and two 6.5mm machine guns. It was powered by a V12 Maybach DSO 8 petro engine that produced 150hp. The tank had a maximum road speed of 40 km/h. It weighed 11,500 kg. Only three Stridsvagn m/31 tanks were built.